Gallium3D Now In Mainline Mesa Code-Base! 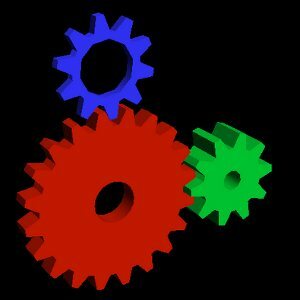 Gallium3D, the 3D graphics driver that has long been in development by Tungsten Graphics, has finally entered the mainline Mesa code-base! Gallium3D has a lot of capabilities and will be of much benefit to Linux desktop users once all 3D drivers have been ported to this new architecture (for more information read our articles or the Tungsten Wiki). We shared yesterday that Gallium3D was in the process of being merged and that is now completed within Mesa's master branch. Gallium3D will now be a feature for Mesa 7.5/7.6. Currently the Gallium3D drivers in Mesa's master branch include those for Cell, Intel i915, Intel i965, Nouveau for various generations of NVIDIA hardware, the soft-pipe driver, and most recently an initial Gallium3D driver for the ATI R300 series was committed. Look for more information and tests on Gallium3D in the coming weeks and months.